Find out how YANA can help make things easier for your family. Planning a fundraising event to benefit local families? We can help. Interested in offering your time to YANA? We’d love to have you. We can’t do it without you. Learn about the many ways to give. 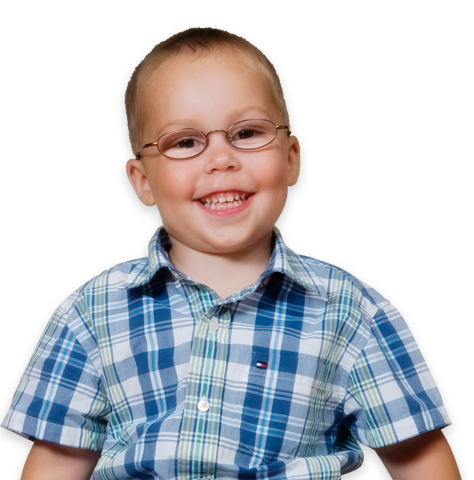 YANA is a community organization offering help to Comox Valley families who need to travel for medical services for their children. Our purpose is to improve access to healthcare by providing travel funding and accommodation. A Smart Guy Who Knows His Pi! Jack Boan is a smart guy who knows his Pi! He will be blowing people’s minds by reciting Pi on Pi Day (3.14) Thursday March 14th at Mark R Isfeld Secondary. He has done it officially for a YANA fundraiser for three years now. 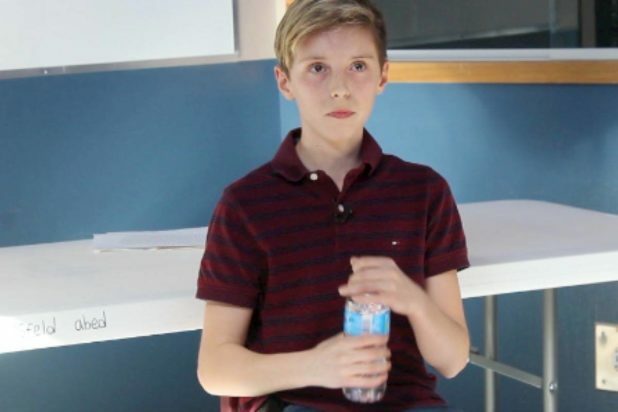 In his first year he recited 605 digits, second year he upped it to 808 digits, and last year he recited more than 1100 digits! He has kicked off collecting his pledges and was hoping others would consider donating as well. 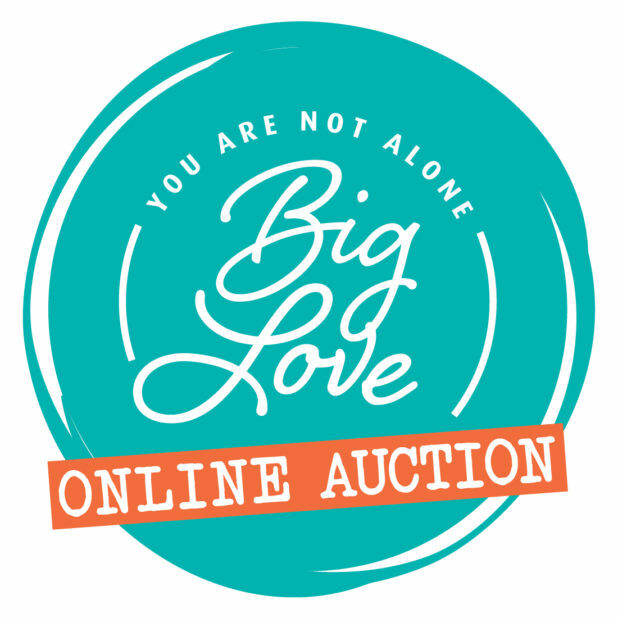 Big Love 2019 – Astounding Generosity! Heaps of big love to everyone that had a hand in this record breaking year! Meet YANA Big Love WestJet raffle winner Lana! What a magical winning moment! Lana was in the house at the Florence Filberg Centre on Friday night at the 2019 Big Love Event when the winning name…HER name was called (note: winner did not need to be in attendance). And that was just the beginning, because this story is going to give you the feels! In tears with the surprise of winning and all of the emotions of the night, Lana came to the edge of the stage to claim her prize. She asked to have the mic. Nearly 400 event attendees and volunteers had just been introduced to an incredibly special YANA family through Karen McKinnon’s photo presentation. Touched by their story of challenge and resilience, Lana decided to pay it forward big BIG time. She announced that she wanted to donate the 2 Westjet tickets to little Kayden and Karris’s family! Lana multiplied this gift by adding in a stay at her family’s condo in Mexico. 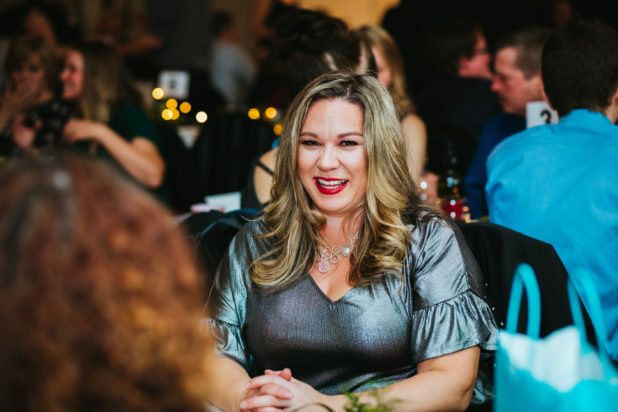 YANA board member Ashley joined the avalanche of generosity and offered to donate the additional 2 flights needed for the family of 4 to travel together if they could. This story truly shows the profound feelings and actions of the night, and this community’s unbelievable support for YANA. Congratulations Lana and thank you for creating a beautiful circle of giving! And, of course, thank you to each and every volunteer who sold raffle tickets for us, and everyone who purchased a ticket!! 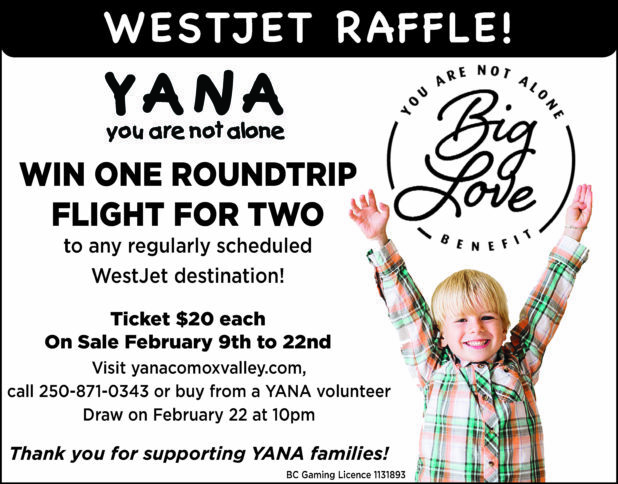 Show your support for children and families in the Comox Valley by purchasing a YANA Big Love WestJet Raffle ticket! Click HERE to request tickets and a YANA volunteer will contact you to fulfill your order. Winning ticket will be drawn at the Big Love Benefit Event. *Winner does not need to be present at the draw on Feb 22, 2019. 2018 Men’s Tillicum Open Tournament dates back to 1933. Fun fact, it is one of the oldest golf tourneys in the country! A big 'shout out' to all the guys behind this long running tourney. We are thrilled that you turned to YANA to start a new fundraiser component to the tournament. We are as happy as a hole in one! A trifecta of awesome is what happens when you put three groups together who care for YANA and challenge one another to fund raise during a home project! So happy to share this collaborative effort from Comox Valley Curb Appeal Ltd., and the generous homeowners Duane & Janet from IG Private Wealth Gee, Gibson & Associates and the top up from the Investors Group Community Engagement program. Your yard rocks and so does the cheque for YANA! Gladstone Brewery, Royston Nano Brewery and all of the Vancouver Island Cascadia Liquor Stores who were the outlet for the Love Potion NEVI IPA for YANA, ‘Thank you, thank you thank you!’ It's not just beer, it’s love. The Love Potion NEVI IPA was released and quickly sold out resulting in big dollars being raised for YANA and BC Children's Hospital from this collaboration.